India Inc seems to be leveraging well on the country's growth story and is poised to post better earnings if the corporate advance tax payments made in the December quarter are any indication. The advance tax outlays of the top 100 companies for the October-December period grew 17.5 per cent over last year while the overall advance tax collection by the Mumbai circle -- the country's largest -- for the quarter is expected to grow over 20 per cent, an income tax source said. 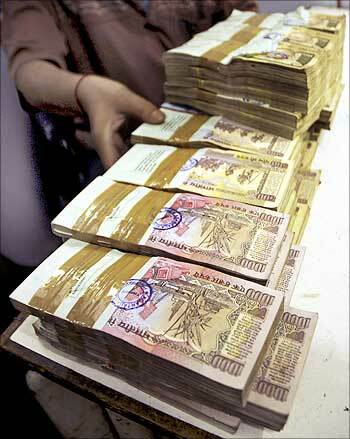 "We are confident of achieving an 18 per cent growth in tax collection for the entire year," the source said. 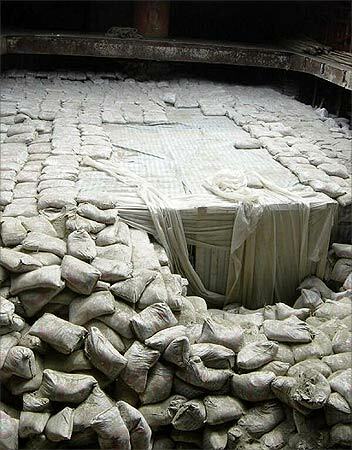 Barring cement, companies in all the sectors such as banking, auto and pharma have paid more advance tax than last year. Advance tax payment is a staggered system of paying taxes and is generally seen as a barometer of a particular company's performance as the tax payments are made in line with profit expectations. 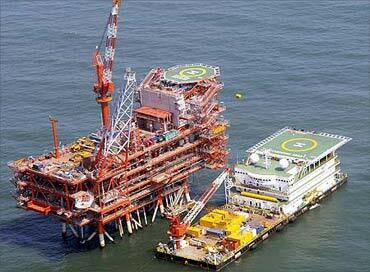 Click NEXT to check out how much advance tax did India's largest companies paid . . . The Mukesh Ambani-spearheaded Reliance Industries' advance tax payment grew to Rs 1,191 crore (Rs 11.91 billion) from the Rs 834 crore (Rs 8.34 billion) it had paid last year. Meanwhile, despite some concerns raised over its performance, the country's biggest lender, State Bank of India, paid an advance tax of Rs 1,850 crore (Rs 18.50 billion) as against Rs 1,795 crore (Rs 17.95 billion) last year. 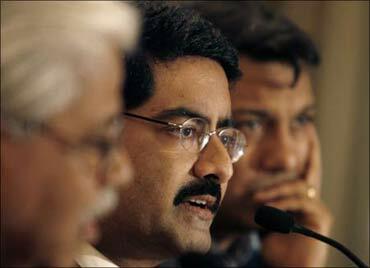 Kumar Mangalam Birla's Hindalco has paid a higher advance tax at Rs 200 crore (Rs 2 billion) as against Rs 148 crore (Rs 1.48 billion) in the same period last year. Three Tata group companies -- Tata Steel, TCS and Tata Motors -- also seem well set on the growth path with higher tax outgoes. Tata Steel has paid Rs 1,000 crore (Rs 10 billion) as advance tax as against Rs 650 crore (Rs 6.50 billion) in the year-ago period, while TCS has an outgo of Rs 230 crore (Rs 2.30 billion) as against Rs 177 crore (Rs 1.77 billion) in the corresponding period of the last year. 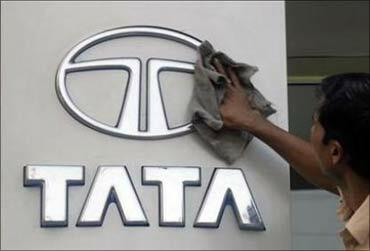 Tata Motors has also paid a substantially higher advance tax this time at Rs 220 crore (Rs 2.20 billion) as against just Rs 100 crore (Rs 1 billion) in the year-ago period, the source said. 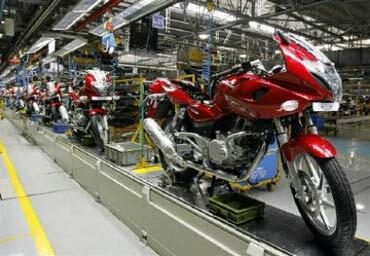 Two-wheeler major, Bajaj Auto, has paid Rs 370 crore (Rs 3.70 billion) as against Rs 310 crore (Rs 3.10 billion) in the year-ago period. Mahindra and Mahindra's outgo this time stands at Rs 236 crore (Rs 2.36 billion) as against Rs 195 crore (Rs 1.95 billion) in the same period last year. 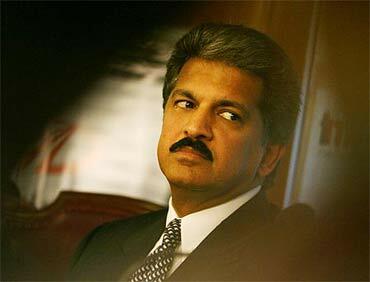 Image: M and M managing director Anand Mahindra. 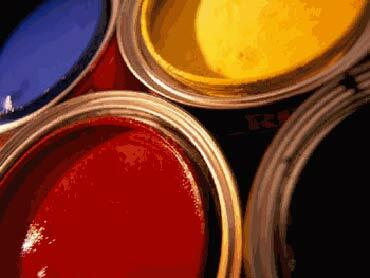 Two leading cement majors, however, have paid a lesser advance tax. ACC has paid only Rs 40 crore (Rs 400 million) this time as against Rs 110 crore (Rs 1.10 billion) in the same period last year, while Ambuja Cements has paid a substantially lower Rs 60 crore (Rs 600 million) as against Rs 140 crore (Rs 1.40 billion) in the year-ago period, the source said. Aditya Birla Group's cement company, UltraTech, however, has paid a substantially higher amount as advance tax at Rs 165 crore (Rs 1.65 billion) as against just Rs 90 crore (Rs 900 million) in the year-ago period. Asian Paints has also paid a lesser advance tax at Rs 100 crore (Rs 1 billion) as against Rs 120 crore (Rs 1.20 billion) in the same period last year, the source said. 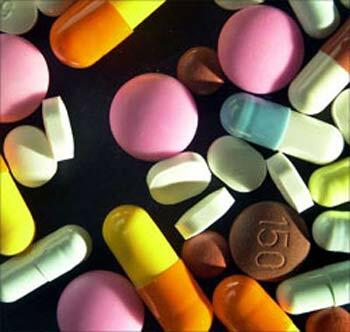 Pharma major, Lupin, has paid a higher advance tax of Rs 44.9 crore (Rs 449 million) as against Rs 30 crore (Rs 300 million) in the year-ago period, while state-run Rashtriya Chemicals and Fertilisers has paid Rs 42 crore (Rs 420 million) this time as against Rs 26.7 crore (Rs 267 million) in the same period last year.